In a large bowl, mix the ground chicken, Parmesan, spinach, egg, 2 tablespoons of breadcrumbs, salt and pepper. Mix well until it is compact. Shape little balls with the mixture then coat them with breadcrumbs. Set aside. In a saucepan, over medium heat, sautè the tomatoes in 1 tablespoon olive oil for about 10 minutes. Season with salt and pepper. Sprinkle with fresh basil leaves at the end of cooking. Then set aside. Over medium – high heat, in big shallow saucepan with 1/4 cup olive oil, fry the chicken balls until all sides are golden brown. When they are cooked, transfer them to a plate with paper towels to absorb the excess oil. 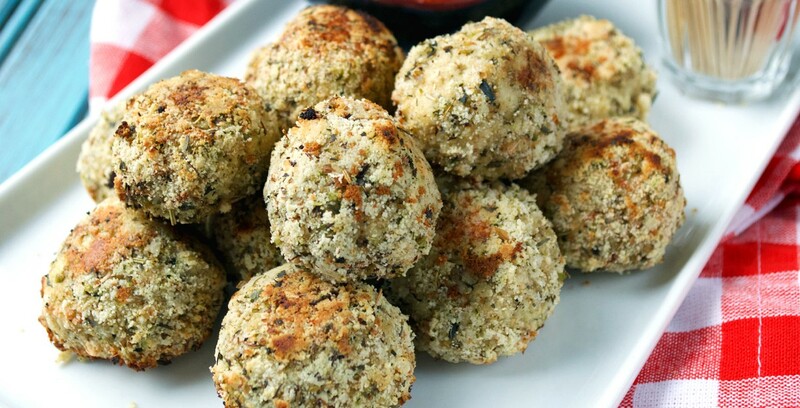 Serve the chicken balls together with the tomatoes.